Eric joined the Ambassador team in August 2013. He is a CERTIFIED FINANCIAL PLANNER™ specializing in benefit plan design and implementation. Eric is a nationally-recognized authority on Health Savings Accounts, provided testimony before the United States Senate Committee on Finance, was a featured guest on Pennsylvania Newsmakers, and his expertise has been highlighted in various publications. Eric is a member of the National Association of Health Underwriters (NAHU), and serves as President of the Board of the Central Pennsylvania Association of Health Underwriters (CPAHU). 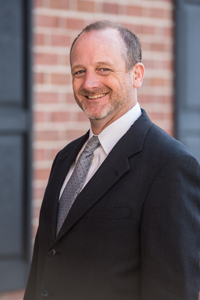 He holds a Bachelor of Arts degree in History from Millersville University and an Executive Certificate in Financial Planning from Duquesne University. Eric is a soccer enthusiast and devoted member of the Capital Area Soccer Association (CASA) Board of Directors. Eric, along with his fellow Board Members, has helped grow CASA into the one of the region’s premier youth soccer associations. Eric’s enthusiasm and success with CASA could be because he’s been playing his entire life (even a few trips overseas to participate in tournaments. Eric was born and raised in Lancaster, currently he lives in Harrisburg, PA with his wife and 3 children.